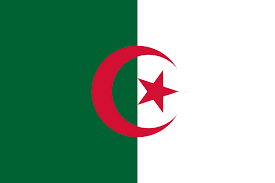 Authorities in Algeria sealed shut a church site on Tuesday (Oct. 16) even after Christian leaders complied with orders to meet building codes, sources said. In Azaghar village near Akbou, about 185 kilometers (114 miles) east of Algiers in Bejaia Province, Kabylie Region, eight policemen sealed shut the doors of the Church of Jesus Christ, pastor Ali Benkhelat told Morning Star News. Government officials had ordered the closure in February after local administrators visited the 300-member church’s worship site in December 2017 and January, he said. The five-year-old church is a legal entity by virtue of its affiliation with the Protestant Church of Algeria (EPA), but the government order stated that its building was originally meant to be used for a poultry business. Christian leaders said it was clean and never had chickens in it. Police first went to the building owner, Da Amar, at 4 p.m. on Monday (Oct. 15) and asked him to go to the police station at 5 p.m., which he did, Pastor Benkhelat said. The officer on duty told Amar, who makes the building available to the church free of charge, that police would close the building the next day on orders from Bejaia provincial officials. “This after having reminded him of a notification which had been delivered to him on Feb. 18, 2018, and in which he had been informed of the closure of the premises for reasons of nonconformity,” Pastor Benkhelat said. After Amar called Pastor Benkhelat on Monday (Oct. 15), the church leader immediately made contact with EPA President Salah Chalah, who arrived from about 100 kilometers (62 miles) away with EPA Vice President Youcef Ourahmane on Tuesday (Oct. 16). The owner, pastor and EPA representatives went to the Akbou police station to try to get the closure order reversed. “We presented the necessary documents, including the affiliation of the church to the EPA, but unfortunately their decision only obeyed an order issued by the head of Bejaia Province,” the EPA’s Pastor Ourahmane said. The closure order this week was issued by a new Bejaia Province head who took office on Oct. 1, the Christian leaders said.